Through two months project with selected certified psychologists, art therapist and a dedicated local people. 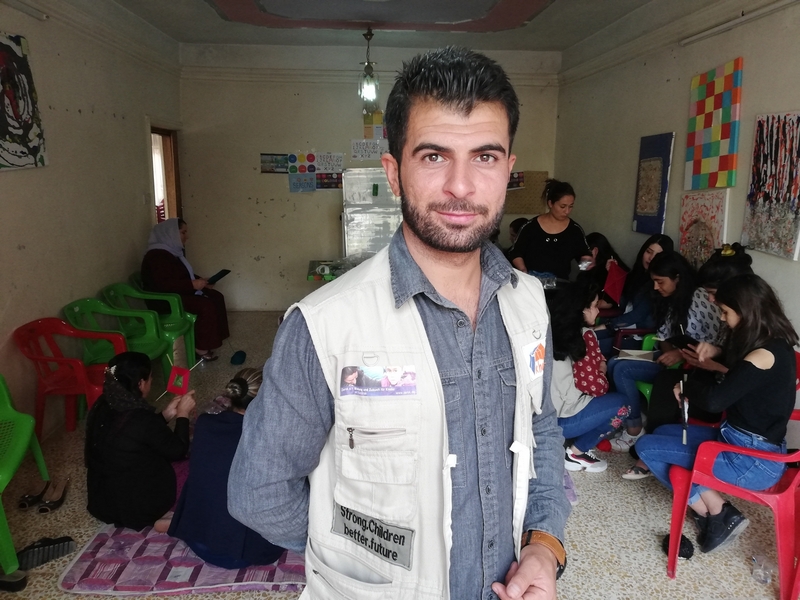 Panaga organization brought a sort of inner peace, healing and hope into the life of two sessions of fifty children who themselves or family members were held as captives by ISIS or were orphaned as the result of war and difficult life conditions. With support from Khaima, Swiss Org. and Zarok, a German Org. Panaga could invite 25 kids with 25 their caregivers to Panaga center. In a welcoming place and a safe haven, through art, games, and role playing sessions that incorporated elements of play therapy to address the specific challenges the kids are experiencing, whereas the parents are involved to process their trauma in a kind of related creative activities as talking therapy, engaging in parenting and trauma related topics, crocheting, handcrafts and so on. The kids and parents can together process the stages of trauma recovery. The parents have showed their interest and they were very happy for the chance.